Warren P Ruth Painting and Paper Hanging supplies a number of painting and related services to commercial businesses and residential homes in Berks County, Pennsylvania. We are fully licensed and insured to offer our professional expertise at prices you can afford. We have been providing our customers with a phenomenal experience on every project we perform since 1928. Hanging on to traditional values such as friendly customer service, exceptional work ethics, high moral standards, and ensuring superior workmanship has made us a reputable painting contractor. At Warren P Ruth Painting and Paper Hanging, we recruit the leading professionals in the industry; as they bring beneficial attributes like advanced training, experience, and remarkable skills that qualify them to perform any service we offer. In addition to having the best in the business conduct our many services, we utilize premium quality products, materials, and equipment exclusive to licensed professionals to ensure maximum results. Warren P Ruth Painting and Paper Hanging include many beneficial services to commercial business owner and residential homeowners throughout the Greater Berks County, Pennsylvania area. Such services include: Residential, Commercial, and Industrial Interior and Exterior Painting, Wallpaper Installation and Stripping, Pressure and Power Washing, Drywall Installation, Replacement, and Repairs, Deck Staining and Floor Refinishing, Water and Fire Damage Restoration, Remodeling, and more. Warren P Ruth Painting and Paper Hanging of Berks County, Pennsylvania Residential, Commercial, and Industrial Interior and Exterior Painting services are in place to assist not only in the aesthetic presentation of your home or business, but also protection against the elements. Our professionals complete each painting project from start to finish with methodical organization and precision performance. Minimizing the disruption of your home living or business activities, we conduct our painting services in a professional manner. Whether you are looking for modern trends or traditional styles, our trained experts can comply with your ideal painting designs. Warren P Ruth Painting and Paper Hanging has specialists standing by to execute any wallpaper removal/stripping services as well wallpaper installation for the commercial and residential customers in Berks County, Pennsylvania. Wallpaper offers a wide variety of styles, colors, and patterns that attract anybody. If you prefer the advantages wallpaper has to offer, Warren P Ruth Painting and Paper Hanging experts can get your wallpaper installed efficiently. If your wallpaper is outdated, damaged, or simply just showing signs of wear and tear, Warren P Ruth Painting and Paper Hanging technicians will strip the wallpaper from your walls in preparation for new wallpaper installation or a crisp paint job. No matter your preference, Warren P Ruth Painting and Paper Hanging can get your wallpaper services done right the first time. Warren P Ruth Painting and Paper Hanging Pressure and Power Washing services are ideal for commercial business owners and residential homeowners of Berks County, Pennsylvania who want the surrounding exterior of the building to reach a maximum level of clean. Removing the pollution buildup, pollens and other allergens, gum, graffiti, oil, grease, mud, mold, and other such debris is easily accomplished with our pressure/power washing equipment and effective detergents. Your commercial storefronts, sidewalks, dumpster pads, windows, roofs, and parking lots along with residential driveways, patios, decks, rooftops, siding, and walls are all just some of the surfaces our technicians can clean, sanitize and deodorize with our pressure/power washing services. Warren P Ruth Painting and Paper Hanging also offers Drywall Installation, Replacement, and Repairs, Deck Staining and Floor Refinishing, Water and Fire Damage Restoration, Remodeling, and other services that are completed with professional results. No matter what services you need, contact us today to get started! Warren P Ruth Painting & Paper Hanging Company is committed to providing the best house and building painting services combined with the most comfortable customer experience available. With Warren P Ruth Painting & Paper Hanging Company, you not only get a professional painting contractor, you get an honest, experienced friend in the construction business. We work closely with business and homeowners, interior designers and general contractors to ensure the best results for you. Our company guarantees clean, efficient and prompt service. We are able to accommodate any schedule. If you need your house or business painted tomorrow or in a month, we have the painters to do it quickly. We offer a painter or painters by the day for smaller projects or can supply a large crew for bigger jobs anywhere in Berks County. 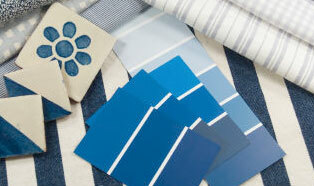 If you are looking for a quality painter with professional, hassle-free service, look no further and call us today.